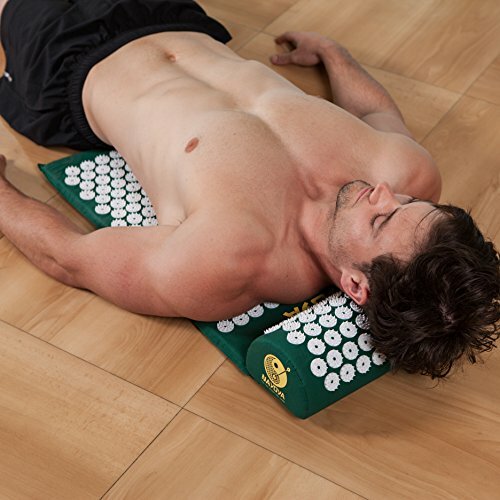 This acupressure mat helps promote overall healing within the body. Minimize stress and the pain associated with it after a long day at the office through acupressure points. Sharp, but manageable, plastic points make up both the mat and pillow and stimulate the body’s systems. 6,210 acupressure points make up this fantastic mat to help encourage blood circulation and flow while decreasing tension. All this by stimulating a variety of pressure points. This lightweight mat and pillow come with a carrying case for easy travel. 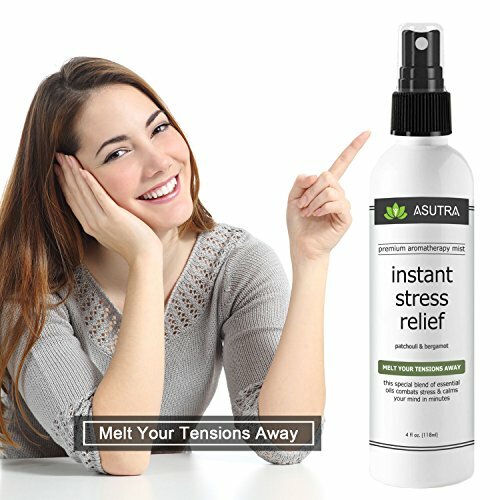 Decreases stress and tension. Alleviates pain within the back, hips, and joints. As well as from the shoulders and neck. Promotes relaxation and better mood by stimulating pressure points.Improves the body’s systems including digestion. Georgetown University Medical Center did a study proving that acupressure can decrease the production of stress hormones, leading to a better state of mind. A study done at the University of York showed that acupuncture. This can be simulated by acupressure treatments. It also can help decrease the symptoms of depression and chronic pain. Straps on this cushion allow it to be easily secured to office, car. Or dining room seats and chairs. The product remains on for 20 minutes before shutting off for safety. Elongating the life of the product. Remote control powered rollers and nodes help target specific areas of the back or the entire back.Heat and vibration functions can be customized for maximum comfort based on the executive’s needs. The cushion has a total of 8 shiatsu powerful massage nodes. Including 4 in the back and 4 in the neck. All this to provide the ultimate stress and pain relief. This messaging cushion turns any seat into a stress relieving spa. 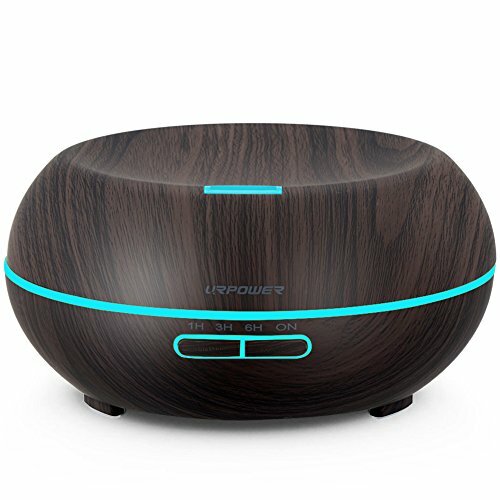 This is safe for the car, office, and home, bringing the spa to the executive. 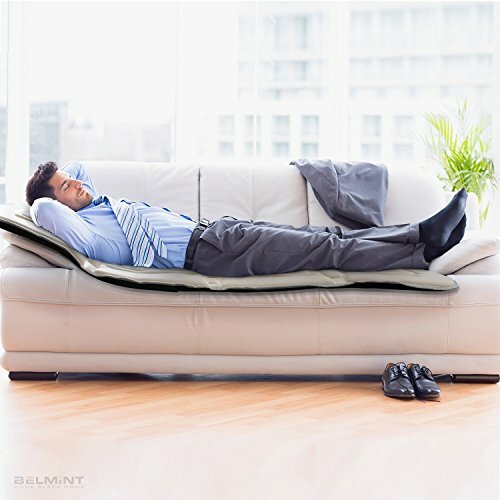 This heated pillow massager can help executives in any setting. 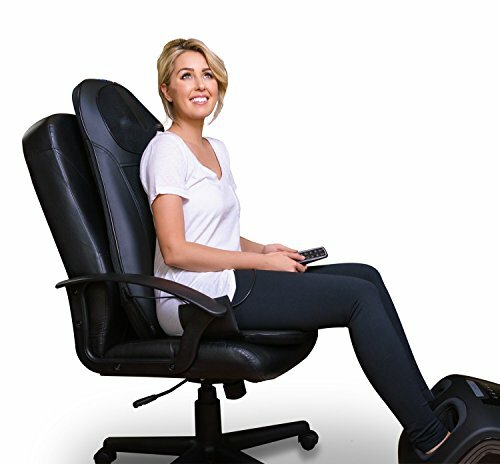 Get rid of pain and stress through massage while sitting comfortably. 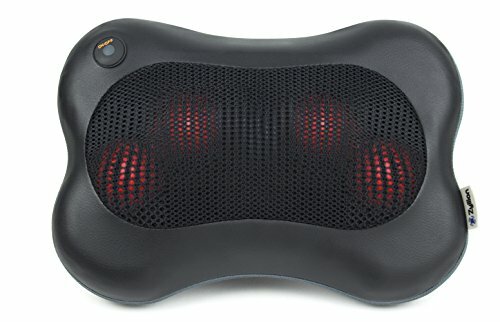 This device is a full body massage in a mat. This mat can relieve work related tension and stress by working out knots and stress spots in the body. This mat features 10 different powerful massagers. Areas can be easily targeted by choosing one of the five modes. Or by selecting a zone of the body to focus on. This mat can fold up and weighs five pounds, making it easy to transport. 5.5 feet by 1.9 feet in dimension. Relieves muscle tension that is related to stress in the workplace. This mat can fold up and weighs five pounds, making it easy to transport. Decreases stress and blood pressure levels. This product combines patchouli and bergamot essential oils. Mist these oils to incite a calmer state of mind at work. 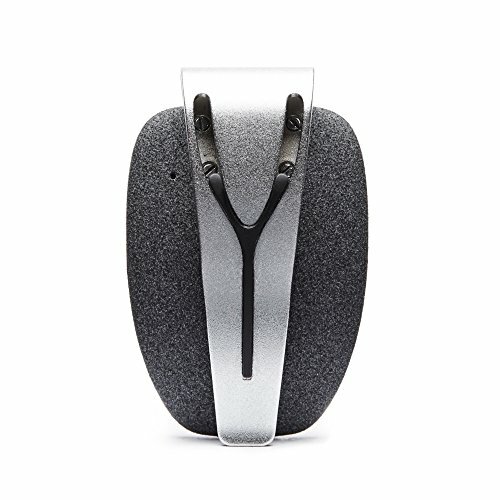 Spire tracks your breathing through the day, providing insight to your stress resistance. 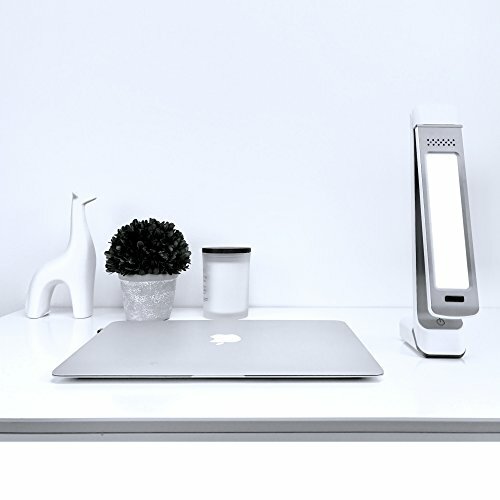 By using bio-signals to create data, Spire looks to help give executives power over their physical and mental well-being. 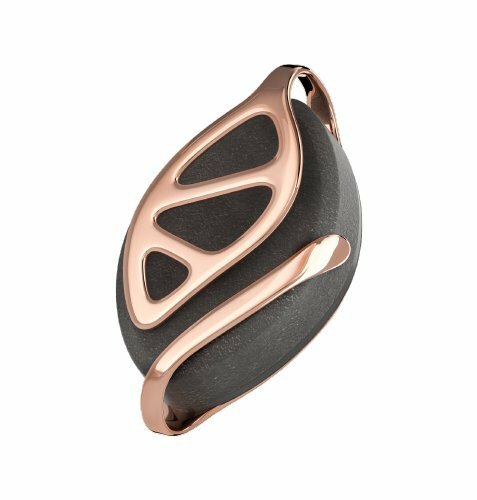 Leaf Urban Health Tracker By Bellabeat Fashionable Fitness Tracker for Women What is It? 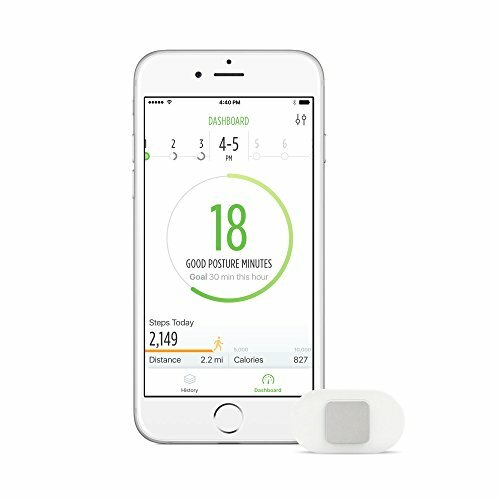 A helpful device for female executives, this piece of jewelry is a health tracker. 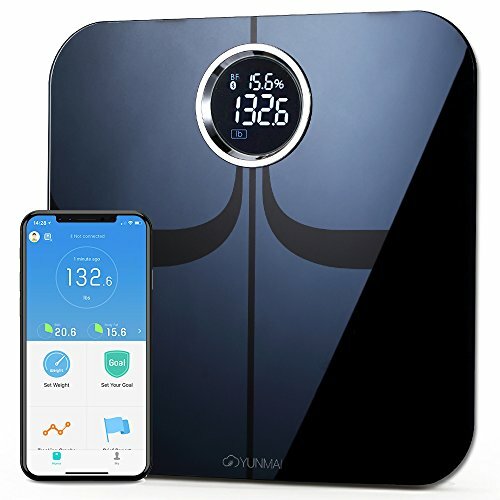 Syncing with an app on your smart phone, this device will give female executives insight to their overall state of wellness. Diffuse essential oils right in your office. With this aromatherapy diffuser. With executives in mind, modern design is perfect for work. Or home. This can be used with a mix of oils to help energize. Or destress every executive. 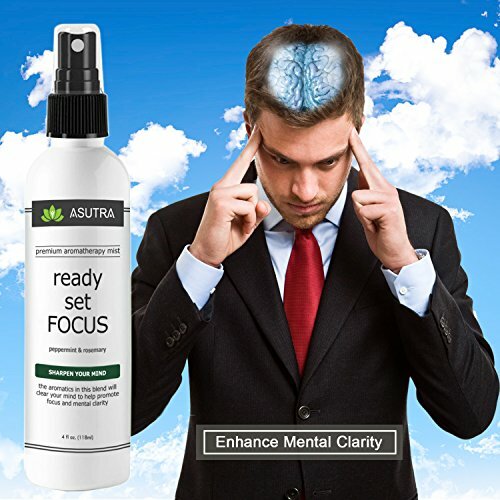 Ready, Set, Focus contains only natural and organic ingredients. This makes it easy on even the most sensitive skin type. Therapeutic grade essential oils are combined. Through a careful process to make these potent, pure mixtures. 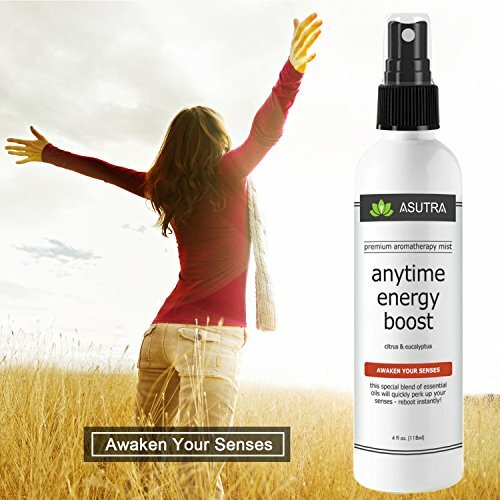 Anytime Energy Boost combines the power of eucalyptus and citrus essential oils. All to provide executives with an energizing mist to use during a long day of work. 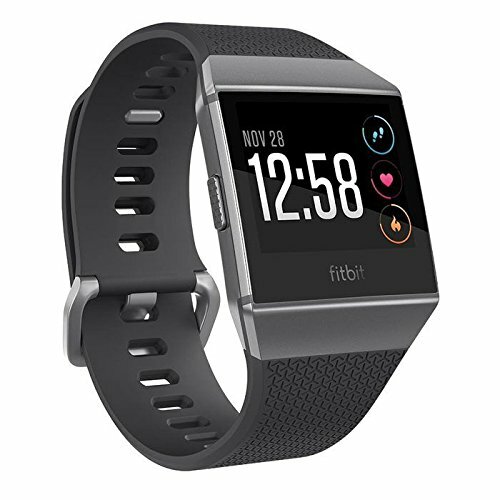 A smart fitness band that will help you stay connected to your business and health. 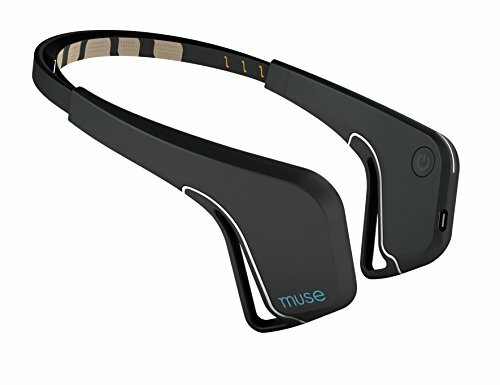 The meditation headband that monitors. And improves your meditation practice. This is to help relax your mind in your executive lifestyle. Limited access to direct sunlight. As a consequence of long-hours in the office, can lead to a variety of health deficiencies. This light therapy lamp can make up for some of these deficiencies. Also can simulate natural sunlight. A small, lightweight wearable posture coach worn near your collarbone which will help you to sit straighter and stand taller. Therefore appearing and becoming more confident. 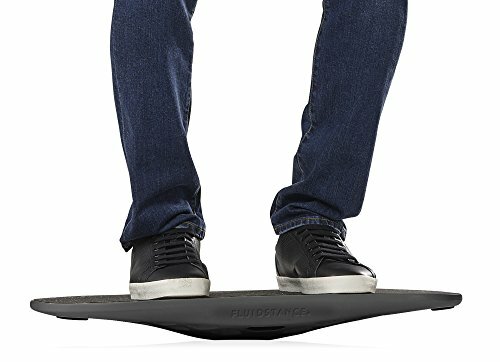 Balance board. 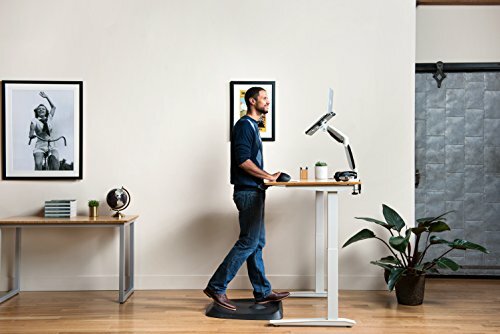 A compact and sturdy board that will bring movement to your workplace at your standing desk. while allowing you to remain focused on the work you must get done, throughout your busy day. An anti-fatigue standing mat designed to support you at a standing desk. Throughout your busy executive day. 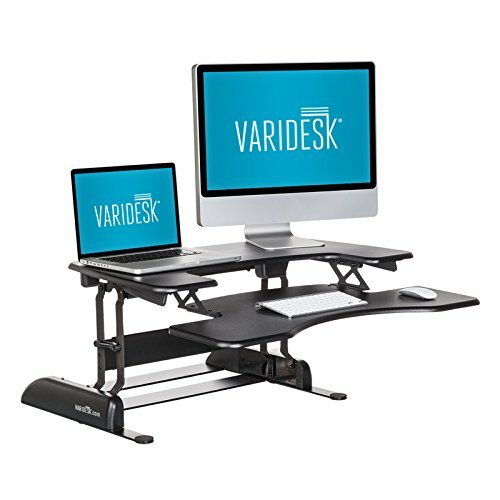 A multi-level standing desk. 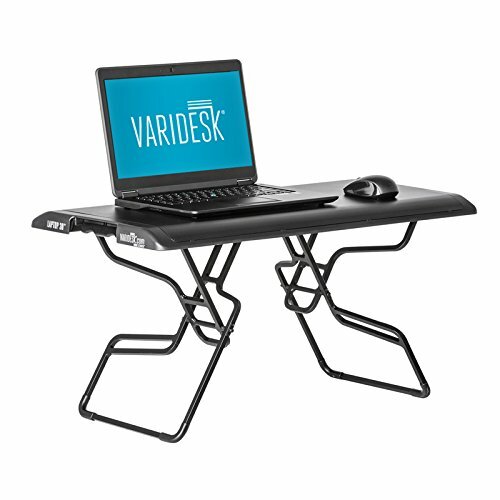 This will give you bigger flexibility in your busy workspace. 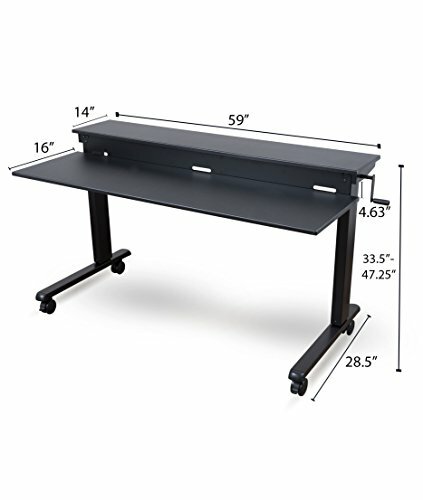 An adjustable standing desk designed to help business executives to be more productive. Improve your mental alertness and productiveness. Also the posture and wellbeing with this standing desk. 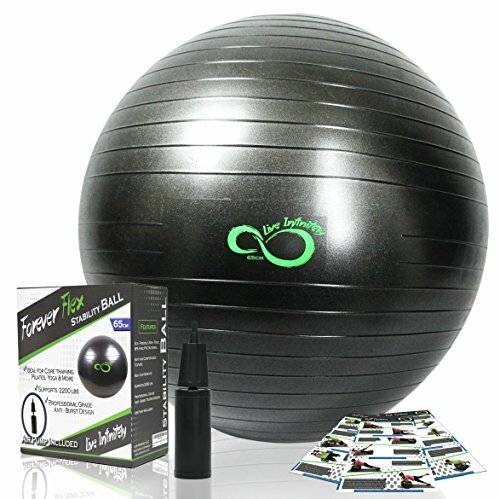 A sturdy exercise ball for workouts wherever you are. Bounce better health into action. An eye mask that guides executives to better, deeper sleep. And by creating a completely dark environment, even in daylight. 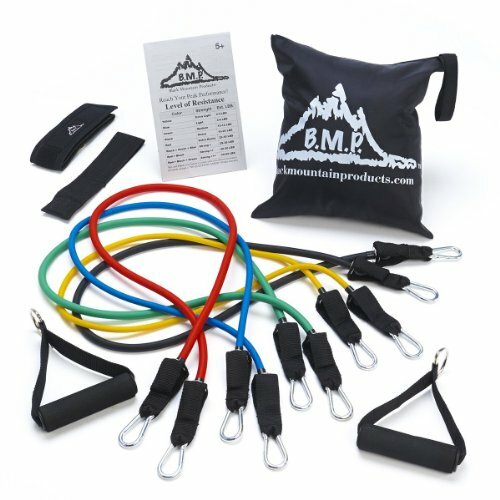 Resistance bands designed to help executives exercise on the go. 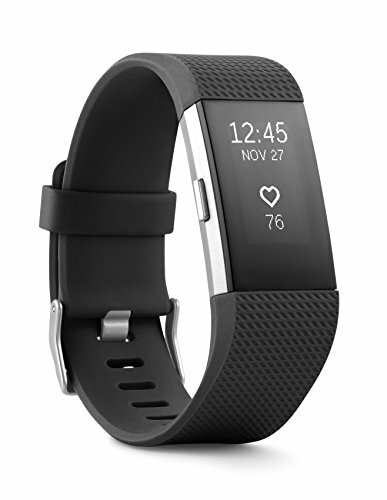 The set includes five stackable resistance bands, which you can further adjust by giving the band more, or less, slack. 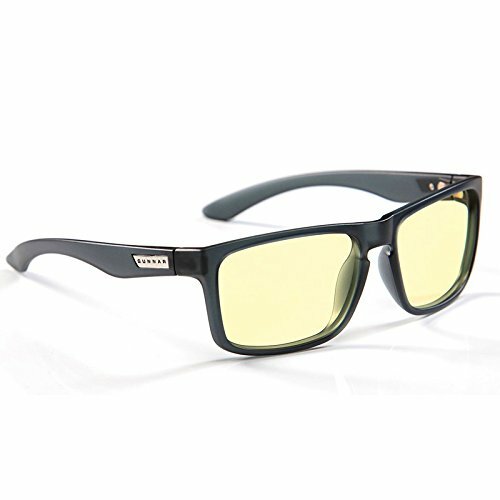 Computer glasses to help combat digital eye strain so you can work longer in your executive work. A portable lightweight tray for your laptop, designed for executives on the go. Also the health conscious executives that want to combat standard seated desks. 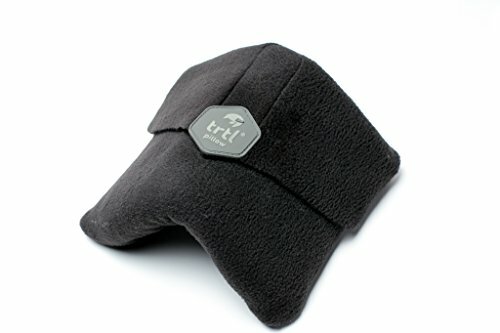 A travel pillow engineered to give you the best neck support for a better sleep for business professionals when travelling. 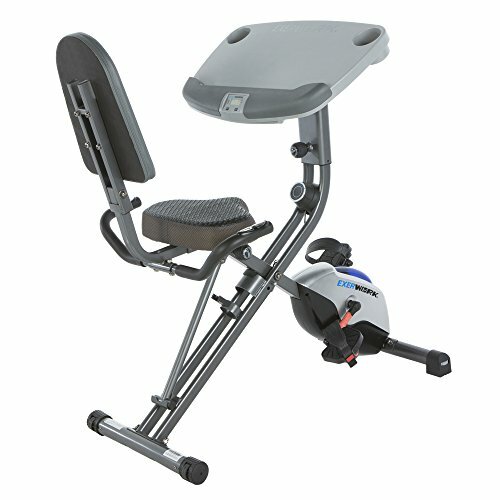 A premium elliptical under desk machine, designed for use while sitting. 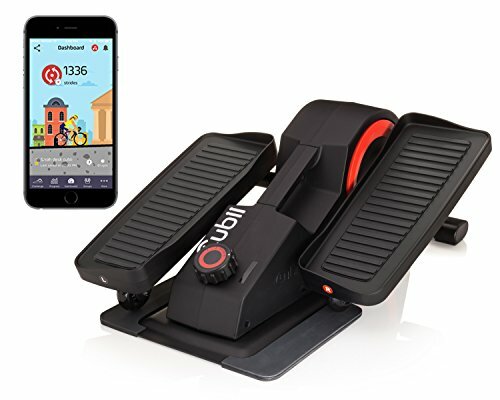 To optimise exercise for those long days at the office. 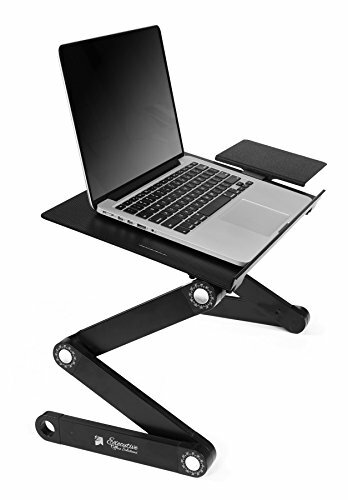 A folding bike and work station, which can be used as a desk top work platform for your laptop. A unique style of bike, designed for executives. 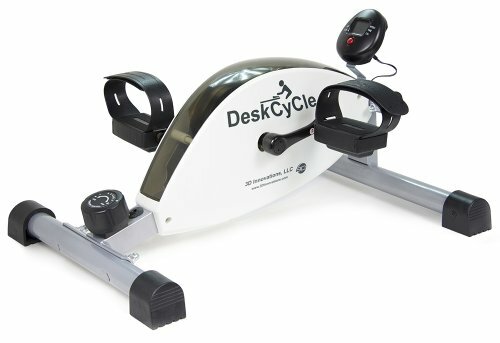 Deskcycle allows executives to burn calories without leaving the desk.